Back in 2004, Treyarch’s Spider-Man 2 for the PlayStation 2, Xbox and Gamecube was a game changer for superhero and Spider-Man video games. It featured an open world of Manhattan where we were able to swing all around the city. 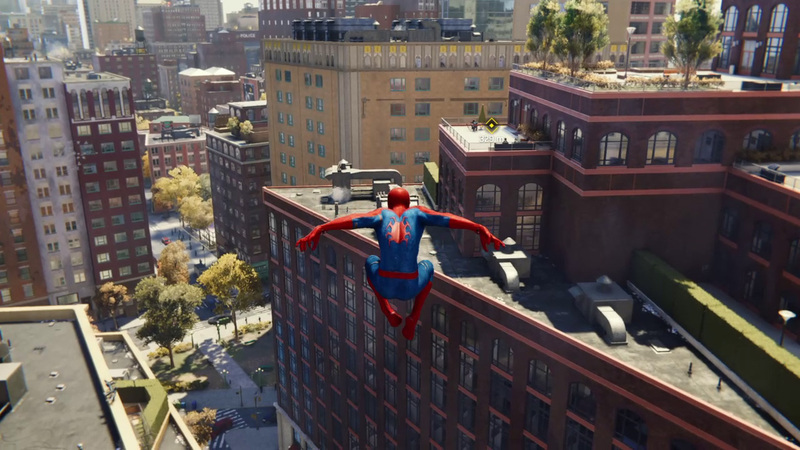 What’s more impressive is that the swinging mechanic actually felt like you’re swinging and not floating in the sky while shooting webs. 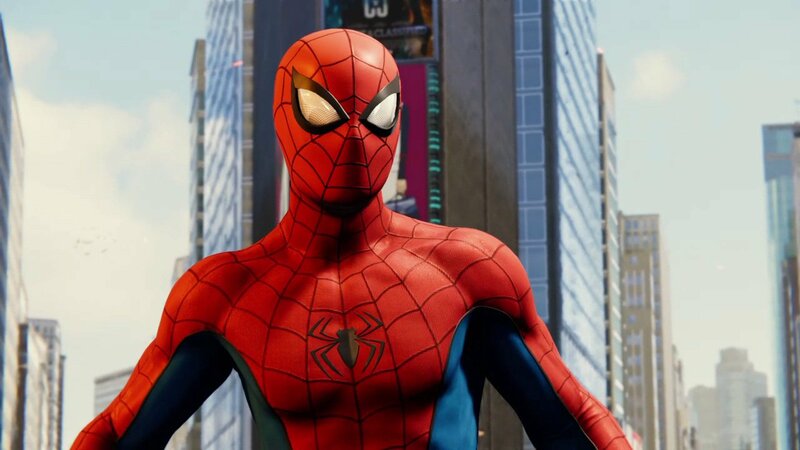 Fast-forward to 2018, Insomniac Games, the developer behind Sunset Overdrive and Rachet and Clank, is now tasked with bringing Spider-Man to life for the PlayStation 4. “With great power comes great responsibility.” With Marvel’s Spider-Man, the team has listened to Uncle Ben’s message to Peter Parker and delivers on the ultimate Spider-Man experience. Marvel’s Spider-Man follows Peter Parker, who’s in his early 20s and is already experienced as a crime fighter. No longer a freelance photographer, he is now working in the science field and has to worry about rent and dealing with his personal life. To make things worse, there’s a new threat named Mister Negative, aka Martin Li. It’s really a problem when he’s in charge of F.E.A.S.T., a shelter where Parker’s aunt, May Parker, works at. Spider-Man is back, and players will be able to do all the things that make him a fun superhero. He can swing, crawl and run on walls, and shoot his webs. 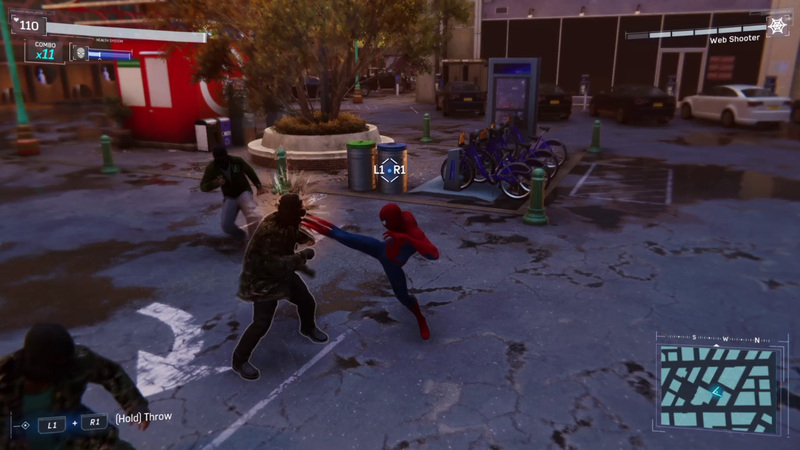 A new feature is the parkour move that allows him to easily run across the city when he’s not swinging above ground. Since this is Spider-Man we’re talking about, it’s all about the swinging. You’ll really feel the rush as you swing between buildings and jumping over rooftops. To swing faster, you can press the left stick when falling to dive really fast towards the streets. Once you are near the ground, press R2 to swing right back up. Rinse and repeat. To make it even more fun, you can unlock aerial tricks, which earns you a small amount of XP while making you feel like Tony Hawk. Combat is simple and intuitive. The square button is to attack, triangle is for web attacks, circle is to dodge, and x is to jump. To beat an enemy, just keep pounding on them with the attack button. When you’re about to be attacked, your Spidey sense will tingle, and that’s when you want to dodge. If you dodge at the right time, you can incapacitate an enemy temporarily. There will be tougher enemies, and you’ll need to perform different moves that will leave them vulnerable including shooting gadgets, dodging, or performing special moves. The environment is also your playground, and by pressing both L1 and R1, you can toss objects at enemies like bikes and manhole covers. There’s a focus bar that builds up when you attack, and you can use this to heal yourself. If a bar is filled, you can perform a finisher complete with its own cinematic angles. Of course, part of what makes Spider-Man interesting is how Peter Parker navigates his personal life. And here you’ll get to control Peter Parker as he helps Aunt May with F.E.A.S.T. while working on projects for his work. Marvel’s Spider-Man does a wonderful job of showing you what it feels like to be a normal person witnessing how amazing Spider-Man is and how scary the villains are. Yes, you’ll get to play as another character who has no powers, and it really makes you appreciate how extraordinary the Wall Crawler and his rivals are. The story missions are the meat of the game, and it’s where you’ll have crazy boss battles and intense action sequences. When you do story missions, they will unlock side quests. 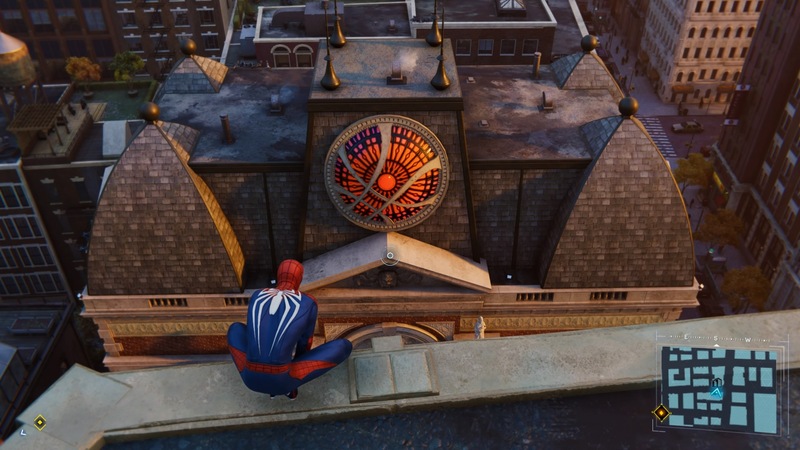 One side quest has you roaming around the city looking for Peter Parker’s old backpacks. Inside them are items from his history, whether it involves facing past villains or memories of his romantic relationship with Mary Jane. 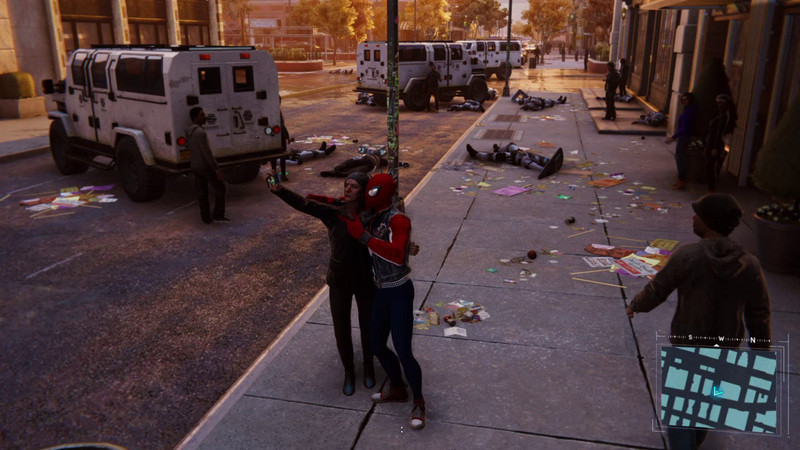 Other side quests include stopping random crimes, missions involving Black Cat and Taskmaster, and taking photos of famous landmarks and Marvel Easter eggs. 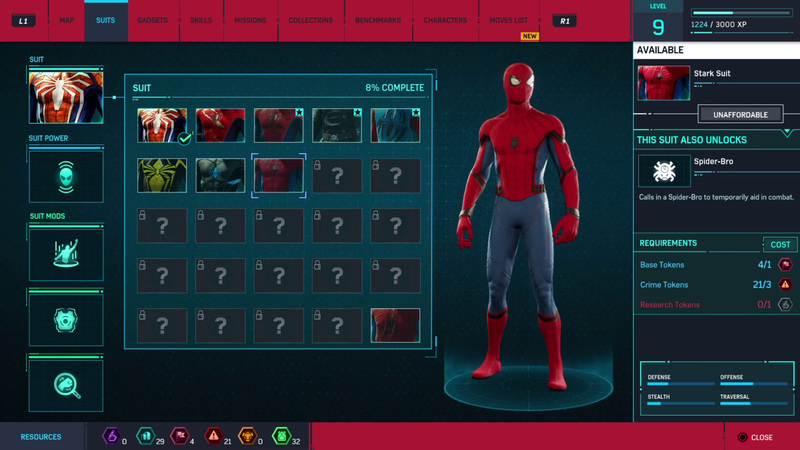 The game features unlockable outfits, and each will have its own special features. For example, the Stark Suit (as seen in Spider-Man: Homecoming) can call on the Spider-Bro to help you fight enemies. 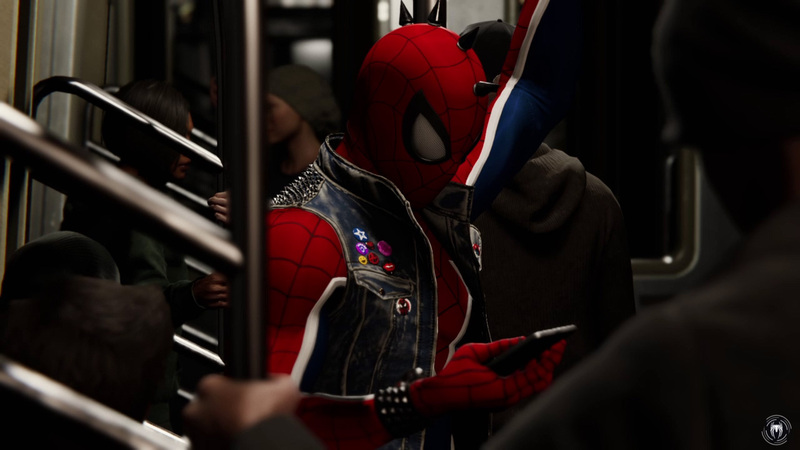 Our favorite outfit is Spider-Punk, not just because of its design, but also for its special ability called Rock Out. By activating the suit’s power, you’ll blast the enemies away with visual audio waves. This is really helpful in a tight situation, especially if you use the Web Bomb gadget to web up enemies around you, then using Rock Out to get them stuck to walls. There’s a lot to love about the game, especially its tight controls that make swinging, freerunning, crawling and fighting very enjoyable. The story captures the struggle of Peter Parker’s personal life and superhero life. New York City is another character of its own, making it a very fun playground for a superhero. With that said, Insomniac Games knocks it out of the park with Marvel’s Spider-Man and gives us the ultimate Spider-Man experience. I was able to finish the game around 25 -30 hours with 100% completion. A copy of Marvel’s Spider-Man was provided by Sony for review purposes. 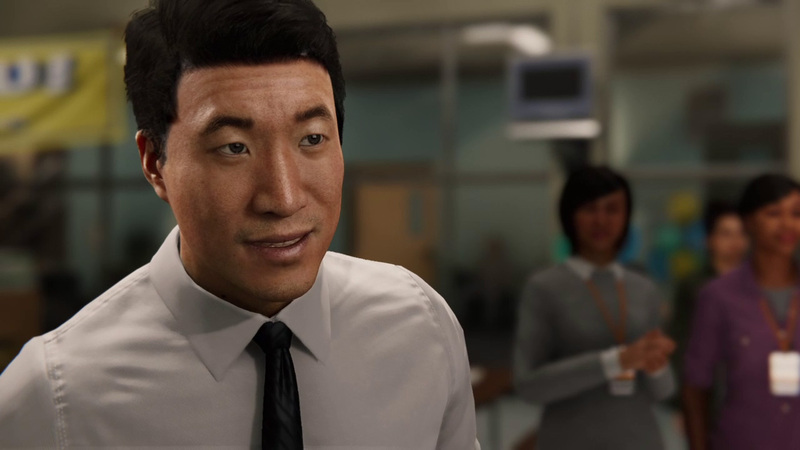 The post Marvel’s Spider-Man will have you falling in love with swinging again (PS4 review) appeared first on Nerd Reactor.